The 4 channel thermocouple starter kit includes everything you need to get started with your high or low temperature monitoring requirements. 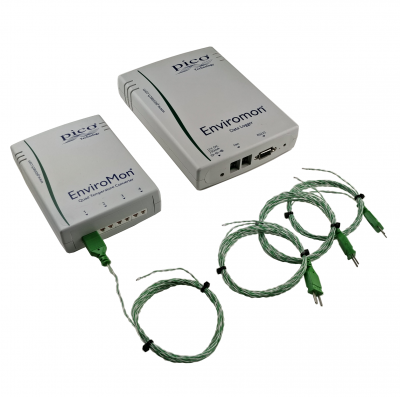 EL005 data logger with power supply and usb lead to connect the logger to your computer. 5 metre network cable to connect your EL041 converter to your EL005 data logger.